Hej! This means hello in Danish! I’m Anuradha Sudhanshu Soman, and I come from India, which is a long, long way from Copenhagen. I have traveled from my hot, tropical country to København, which is the total opposite, cold and windy, to say the least. When I decided to pursue my Masters in Adaptive Reuse at Rhode Island School of Design (RISD), I knew that I would get a chance to spend my summer at DIS. I am taking the Summer Session for the Interior Architecture Studio, and what excited me the most was the chance to explore so many countries in one go! DIS Copenhagen offers me an opportunity like never before, to explore Europe while I learn. 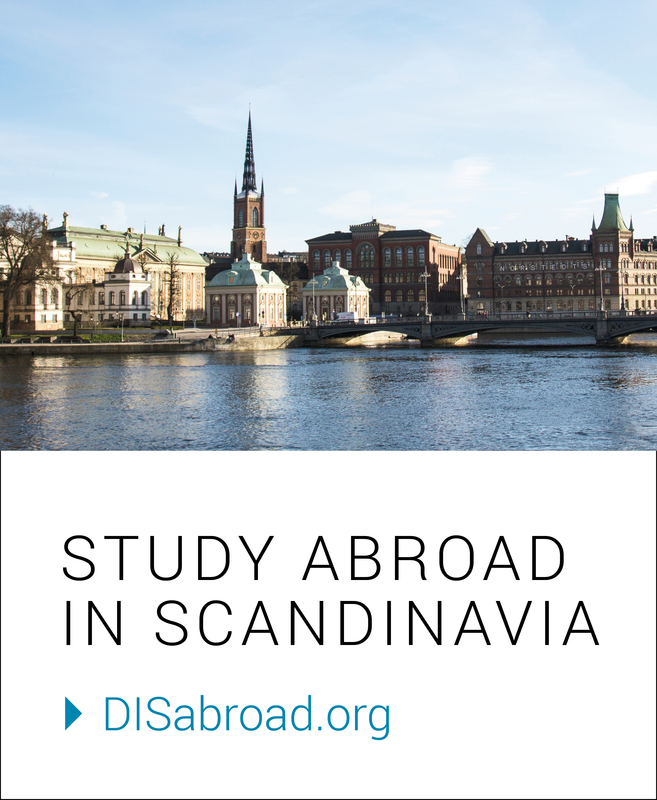 In a period spanning seven weeks, I will be traversing Copenhagen, as well as journeying through Sweden and Finland, as my one-week Study Tour is scheduled to take me there. I expect to not only have an excellent academic experience but also develop my inter-personal and community skills. I was quite apprehensive about living away from family, but I took this opportunity as a challenge to break the preconceived notions I have about myself. It’s all about evolving as a student and an individual. I am staying in a Residential Community (RC), a little away from the main city. I share a room with one other girl, and we have our own kitchenette and bathroom. The room has plenty of windows for the sunshine to come in, which is almost till ten o’clock at night, and the sun is back again at three in the morning. Talk about long daylight hours! Thanks to the DIS housing placement process, I feel like I have been assigned into a perfect setting. My roommate and I have very similar personalities, and our RC is slowly becoming like a home away from home for me. It is quite a task to juggle studies, being touristy, as well as cooking and maintaining a schedule, and honestly, I’m still getting used to it. But I shall keep going! I enjoy the daily commute from my home to the heart of the city, where my DIS classrooms are located. The public transport is punctual and so easy to decipher. The Danes are a jovial lot, and very helpful and smiling all the time. I see people cycling everywhere, and it is the best possible way to enjoy the fresh air. I love walking around in the quaint streets, and although I have got lost a couple of times, it is fun to explore the city this way. Since I am quite a foodie, I keep getting attracted by the heavenly smells from all the bakeries and restaurants; I can’t wait to try out all the Danish delicacies and specialties! In this first week, I have seen so many varied architectural styles and design techniques. Classes have also begun and I’m learning a lot about the urban fabric and the city. I am just trying to immerse myself in the local culture and observe as much as I can. As an introvert, it is kind of hard to get out of my comfort zone and interact with students from all around the world, but I’m constantly trying! I’m looking to be much more positive and confident by the end of it all. Previous Velkommen til København…Welcome to Copenhagen!